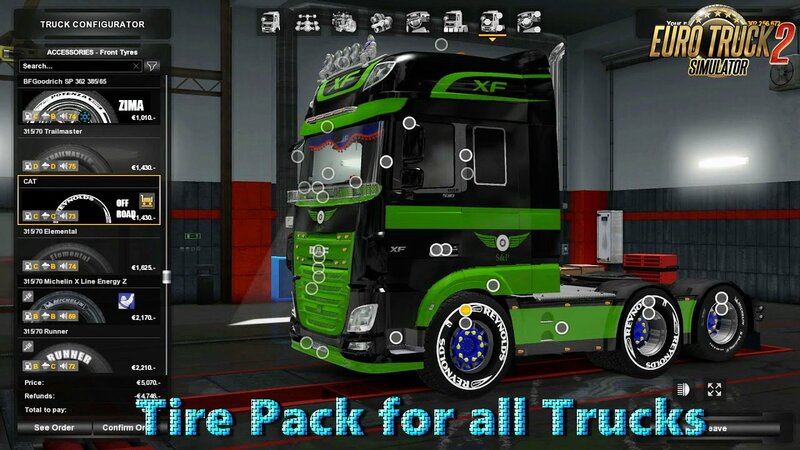 Tire Pack for all Trucks v1.0 by griva74 (1.28.x) for Euro Truck Simulator 2 game. 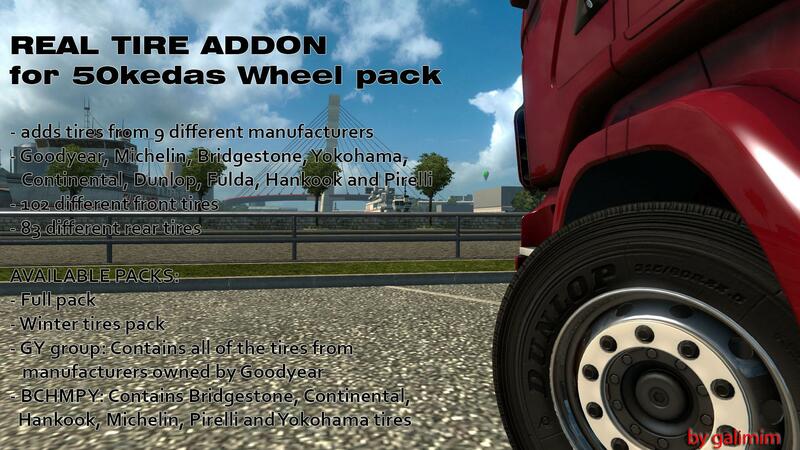 Park the wheels for all trucks. 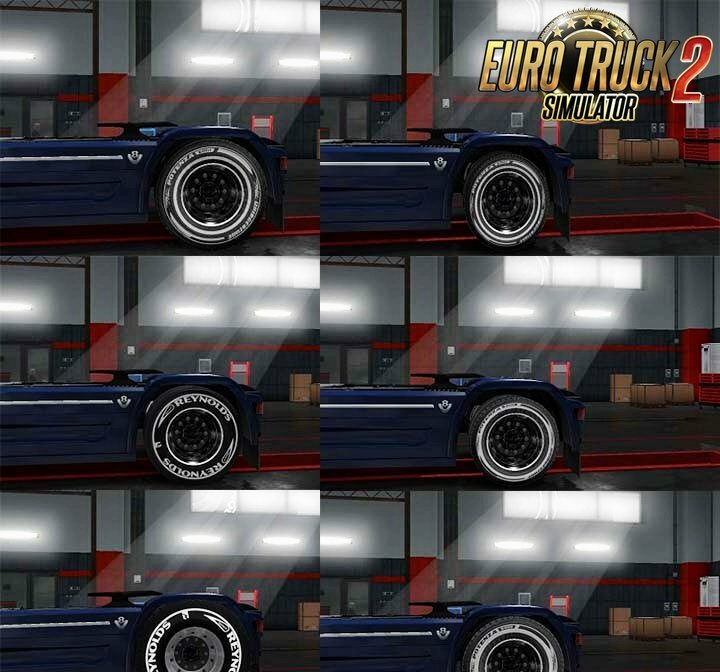 In the pack there are tires outside the road, winter and ordinary. 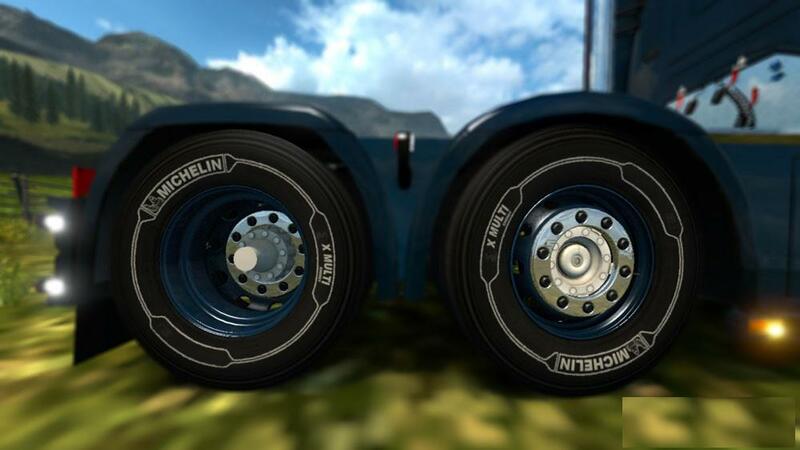 Also, black disks with white edging, disks for out-of-road tires of three variants.